Yamaha’s new MX825 V-Twin EFI 33-hp was designed specifically for the landscape market. Yamaha Motor Corp. is entering the landscape market in a new partnership with Gravely, an Ariens Co. brand. 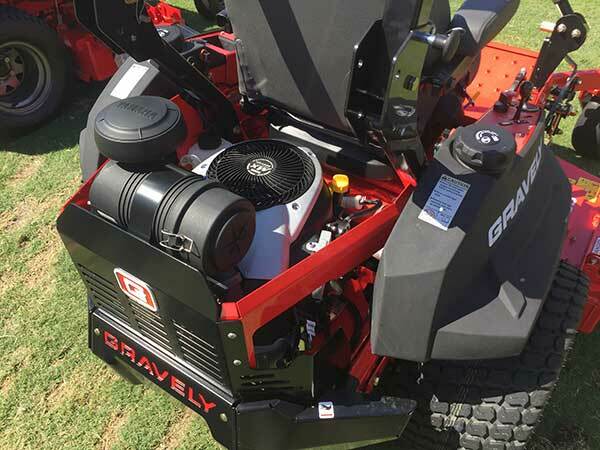 Announced at the Ariens Dealer Summit in Amelia Island, Fla., this week, Yamaha’s two new V-Twin EFI engines—the MX775 V-Twin EFI 29-hp engine and the MX825 V-Twin EFI 33-hp engine—are now available for order in Gravely’s Pro-Turn 200 and 400 lines of zero-turn mowers. The engines are specifically designed for the green industry, said Derek Schoeberle, product planning manager for Yamaha. They’re the product of a four-year research and development process, conducted both in Japan and the U.S. The goal, Schoeberle said, was high power and torque, serviceability and operator comfort. This launches a relationship between the two companies that will likely result in more Ariens and Gravely products powered by Yamaha, both companies said. New products can be expected as early as 2018. Though Gravely is launching Yamaha’s foray in the market, the deal is nonexclusive. Yamaha will likely entertain other partnerships in the industry. The companies also revealed a streamlined maintenance and repair program, in which users can go directly to the Gravely dealers, rather than the engine manufacturers, for repairs. Yamaha has done “extensive training” and developed additional online training for on-going education to ensure Ariens technicians are familiar with the EFI technology. The Pro-Turn 460 is equipped with the 33-hp MX825 EFI V-Twin engine from Yamaha. The 29-hp engine can be ordered in the Gravely Pro-Turn 260 and the Gravely Pro-Turn 452. The 33-hp engine is available in the Gravely Pro-Turn 460 and the Gravely Pro-Turn 472. While engine companies often tout horsepower, and end users are often wowed by it, torque is the true test of a high-performing engine, Schoeberle said. The vertical V-Twin engines are designed to deliver maximum torque. a three-year warranty that includes the muffler. Dealer orders were nearly double Gravely’s expectations, the company said. The engines are in production and ready for purchase. 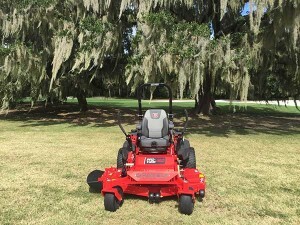 Gravely Pro-Turn zero-turn mowers equipped with a Yamaha EFI engine start at a list price of $11,899. Gravely’s new Pro-Turn line, including the mowers equipped with the new Yamaha engine, will be available to the public for test-drives at GIE+EXPO in Louisville, Ky., Oct. 19-21.